Woman and Lute - Lovely image of a young beauty sitting at the edge of a country house, holding a walking staff, one sandal kicked off and her leg tucked up next to her. 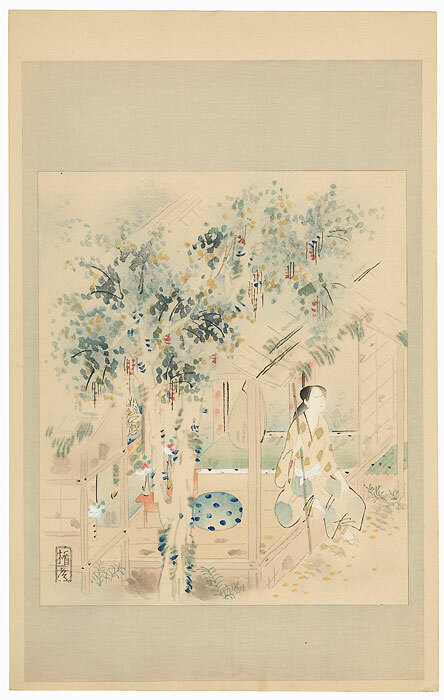 A biwa or Japanese lute hangs from the pillar beside her, and a low table at left holds vases with pink blossoms. The tree nearby is dotted with leaves changing to gold as fall arrives, some of them scattered across the ground.  A beautiful painterly design with soft colors and fine bokashi shading. 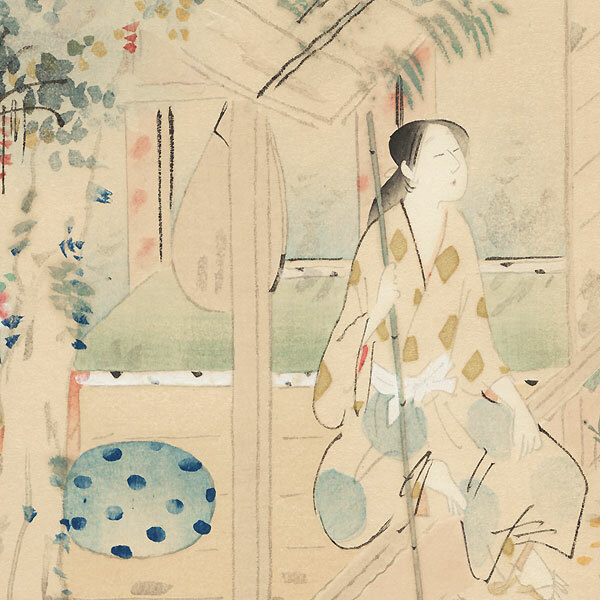 Includes subtle gold mica on the kimono and leaves, and delicate embossed edges of some of elements of the house.